Tier 1 – Coach: Coaches are trained in values based methodology at international residential training camps lasting 5 days. After 4 days of training, they deliver coaching sessions on their own under the mentorship of F4P leaders and mentors at the so called F4P Festival. F4P festival are organised for children from local areas and include values-based on pitch and off-pitch activities that end with a football tournament. Tier 2 – Leader: Those with the potential, or those tasked by their communities/organisations to lead projects, receive Tier 2 leadership training, focusing on skills and knowledge to organise and run their own programmes and staff, and on assistance in the training of others in the methodology. Tier 3 – Mentor: Mentors must have the ability and will to train and mentor coaches and leaders. They are supported by their mentees and run ‘cascade training’ events in their communities. 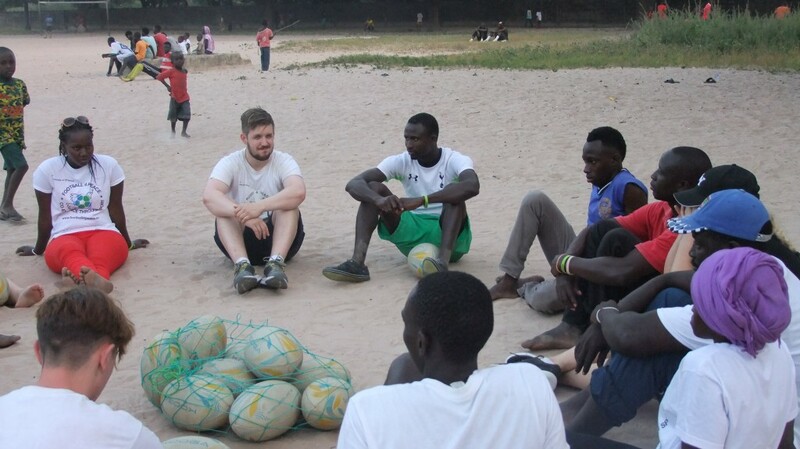 Such events are often bespoke and adapted to encompass the unique circumstances within the areas, to include different sports and activities, or to highlight and respect specific cultural and religious nuances and traditions. F4P International run regular training camps in Eastbourne (England), Northern Ireland, Gambia and South Korea. If you wish to become a F4P certified coach, send your enquiry to sasmprojects@brighton.ac.uk.